Stories can entrance, engage, even possess us. Every one of us has a story to tell; factual or fictional, cool documentary or heartfelt family journey, practical travelogue or sparkling flight of the imagination. But to become an accomplished storyteller one needs time, a conducive environment, and sensitive guides to direct and refine individual talent. 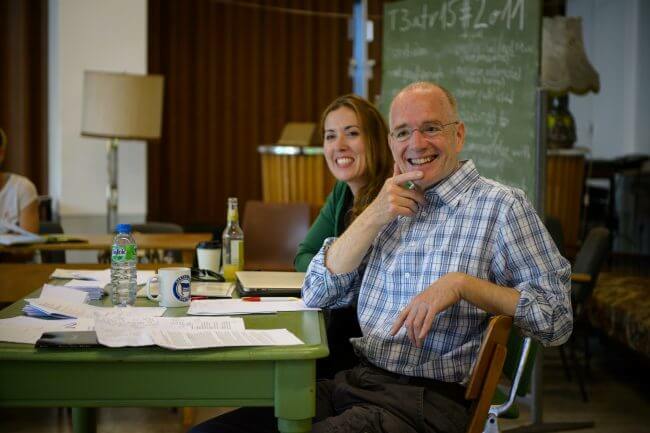 In June best-selling author Rory MacLean and professional editor and writer Kimberly Bradley will lead an exclusive, five day creative writing workshop in Berlin. Selected participants – to a maximum of fifteen individuals – will be guided and supported on their creative journey. Both amateur and professional writers are invited to apply. No experience is necessary. The only requirement is the passion to tell a story. The course will include morning talks on the craft of narration and introductory workshops on gathering material, note-taking, voice and structure. Rory will underline the importance of writing from the heart, using honesty and personal experience to fill one’s creative work with feeling and excitement. Together he and Kimberly will unpick the transformation of our ordinary encounters, epic journeys, family histories and imaginative quests into prose. Afternoons will be dedicated to one-to-one discussions, helping to draw out individual skills, and – if desired – to complete a specific story which individuals may want to tell during the week. Work will be critiqued and discussed in depth, skills and techniques enhanced, with each text given special, personal attention. Evenings will be either free or with organized events on offer, including a reading from guest author Greg Baxter (A PREPARATION FOR DEATH, THE APARTMENT) with an opportunity to ask him your questions and a final celebratory dinner. KIMBERLY BRADLEY has been a journalist and editor since the 1990s. Born in California and raised in the American midwest, she has straddled the pond for nearly two decades and currently lives and works in Berlin and Vienna. Bradley’s articles have appeared in publications including AD, Art Agenda, artnet.com, ArtReview, Bloomberg Businessweek, Conde Nast Traveller, Frame, Frieze d/e, GEO Saison, The International Herald Tribune, Mark, Metropolis, The New York Times, Spiegel Online, Sueddeutsche Zeitung Magazin, The Sunday Times, German Vogue, Wallpaper City Guides, WSJ. Magazine, Zitty and many others. In 2001 she was an Arthur F. Burns fellow, and spent two months at the Sueddeutsche Zeitung Magazin in Munich. She is also Monocle’s Berlin correspondent and contributes frequently to the web radio station Monocle24.